Guitar aficionados, take note(s)! Premium quality, imported from England padblock. 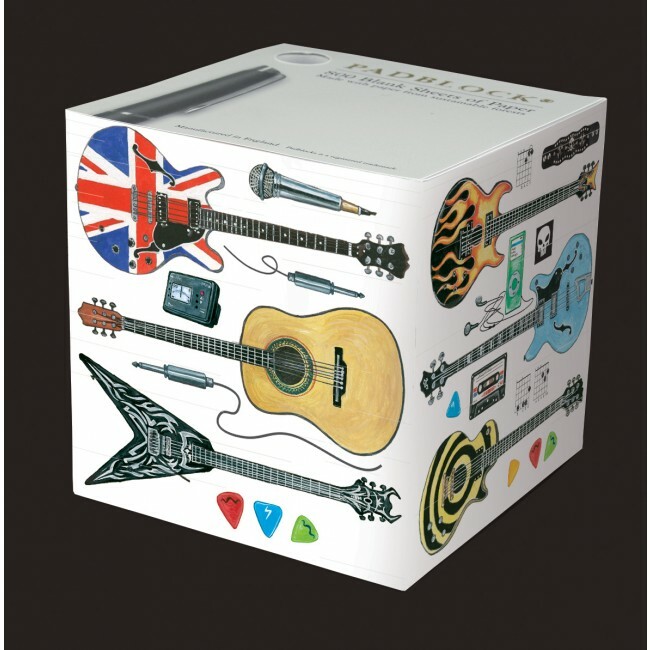 Rocking guitar variety theme replete with amps, plectrums, and other instruments. Over 800 sheets. Guitar aficionados, take note(s)! Premium quality, imported from England padblock. Rocking guitar variety theme replete with amps, plectrums, and other instruments. Over 800 sheets. Includes a pen/pencil hole. Made with paper from sustainable forest growth. 3.5" cube.